Let’s face it: The best part of a home remodeling project is when you can sit back, look around, and see the results of your investment. Okay, that might come in a close second to hearing the “oohs and ahs” of friends and family as they survey your updated digs. Many homeowners end up opting for aesthetic renovations over less obvious but necessary fixes their homes need. If you focus on a surface-level facelift instead of correcting potentially hazardous issues, you may end up having to watch a sledge hammer break up that new wall you just repainted or the expensive flooring you had put down. The hit HGTV program “Holmes Inspection” relies on the regularity of such poor home remodeling choices (as well as negligent inspectors) to fuel episode after episode of rectifying botched remodels. Unless your goal is for the future owners of your home to meet Mike Homes in person, you should prioritize the under-the-surface needs of your home before you update cabinetry or splurge for that new deck. An energy efficient home has both environmental and money-saving benefits. A few fairly simple changes can mean decreasing your energy bill by 1/3. To start on that path, you’ll want to get an energy audit that will enable you to see where your house is leaking air. Recommended changes will likely include strategically updating or adding insulation, caulking existing windows, and sealing up ductwork. Of course, the right HVAC systems can also greatly benefit your home’s efficiency. On the aesthetic side, being energy efficient can give you that excuse you’ve been looking for to get some updated appliances! Perhaps you could track your energy bill savings compared to last year’s total, and when you save up a predetermined amount, you can use the extra cash to repaint and redecorate a bedroom, giving you the “wow factor” that you crave. From pollutants to electrical hazards and flooding potential, there’s a lot more to a house than sticks and stones. Pollutants such as lead, mold and mildew, asbestos, and radon can become hazardous to your health. 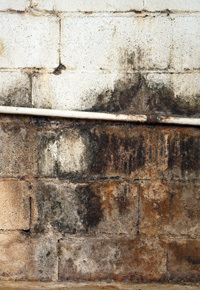 High moisture levels can lead to more than the production of pollutants, such as black mold. They can also contribute to structural damage, rot, and even premature paint failure (there goes your “wow factor”!). Proper home water management takes many forms, including outdoor ground grading, careful roof design, proper ventilation, and humidity control. While safety and energy efficiency may not be as impressive to the casual observer as the up-to-date kitchen or bathroom of your dreams, you’ll be able to sleep better at night, knowing you’ve made sure your family is safe and sound. To learn more about the home remodeling services D.R. 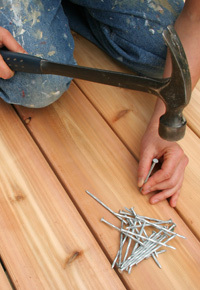 Hartman Construction provides, call us today at (301) 926-9000. 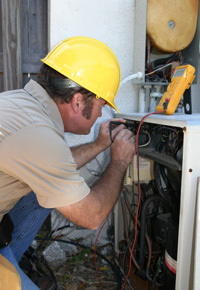 We service the Bethesda, Gaithersburg, Rockville and Washington, D.C. areas. Photo credits: Top © Robert Cocquyt / Fotolia. Middle © Lisa F. Young / Fotolia. Bottom © Amy Walters / Fotolia.